A very important piece of news on February 20th was replaced by another, more important news: after the European Parliament, the Council and the Commission have finally reached an agreement on the two complementary proposals aimed at completing the reform of the economic governance (the two-pack), the Commission announced that it will give a green light to its own blueprint for reform of the eurozone in spite of its cool reception in the European Council. 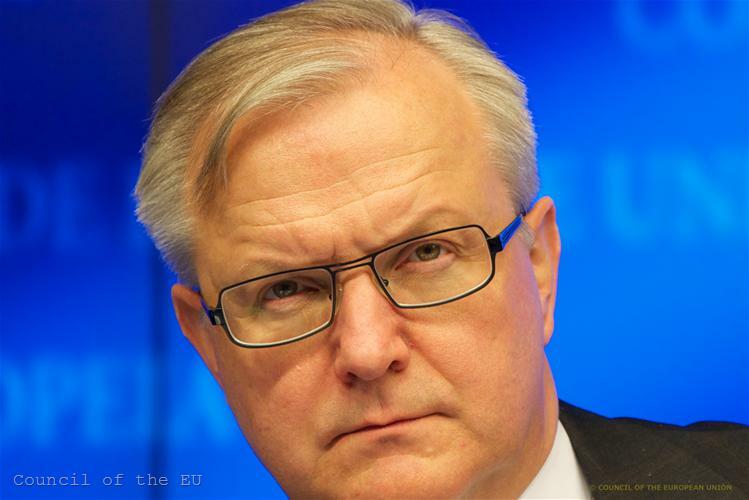 It seems that this move fits into the "third way" which European Commission Vice President Olli Rehn, responsible for economic and monetary policy, outlined in a special speech on February 19th. Before the economic and social partners he explained that he is the "last functionalist" which should be understood as something in between a federalist and a rejectionist (which is probably an euphemism of a eurosceptic). But let us start by order of events. 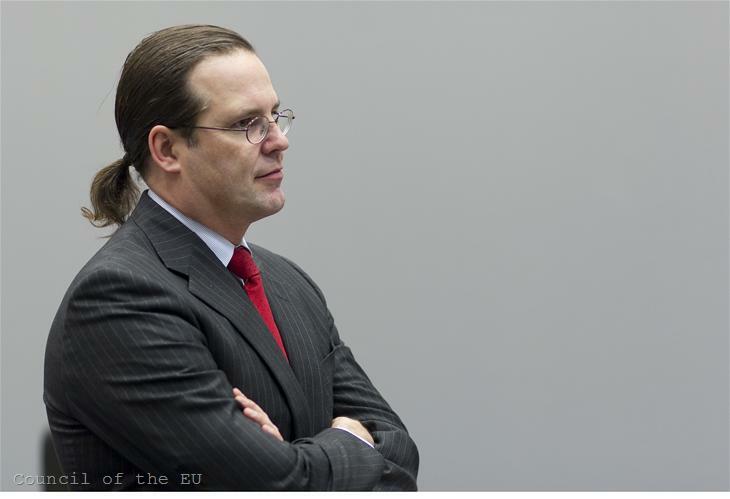 After a little more than a year, finally a compromise has been reached on the last two bricks of the reform of the economic governance the beginning of which was marked by six-pack in 2011, part of which is the European Semester. 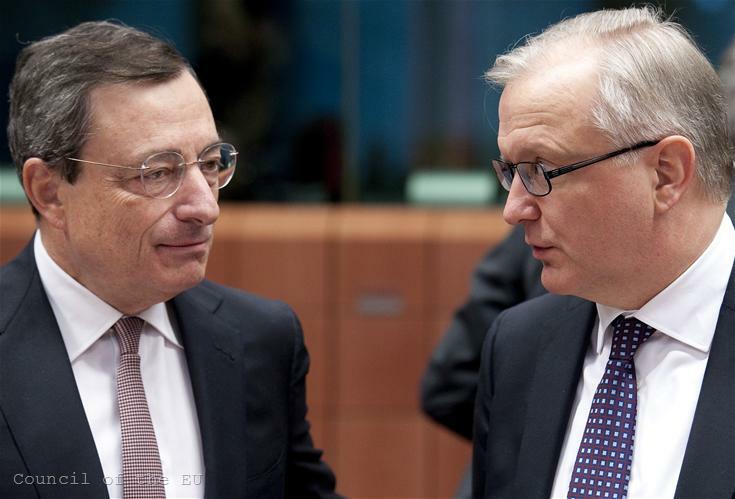 The two proposals, known as the two-pack, were presented by the Commission on November 23rd 2011 together with the the EU executive's ideas for eurobonds. The legislative package got stuck in a conflict between the Europarliament and the member states after the MEPs demanded that it included a debt redemption fund which is a prelude to eurobonds. The first of the two proposals is for all euro area member states with special provisions for those who are subject of the Excessive Debt Procedure. The second proposal for a regulation contains rules for enhanced supervision of those euro area members who endure severe difficulties in terms of financial stability. It will also cover the countries receiving financial assistance, no matter if it is under the form of a safeguard measure or part of a fully fledged adjustment programme. The second proposal deals with the countries that are phasing out bailouts. As part of the enhanced surveillance is also the introduction of a common budgetary line and common budgetary rules, as well as independent macroeconomic forecasts and fiscal councils which will follow the implementation of national rules. 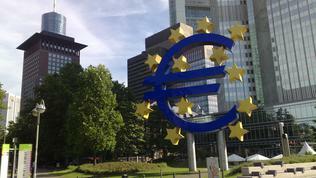 The eurozone countries will have to present their draft budgets for next year to the Commission and the Council in the autumn. After it studies them, the Commission will come up with an opinion whether they are in line with their obligations under the Stability and Growth Pact and the recommendations under the European Semester. It is important to note that the work of the strongly hated in some programme countries Troika, consisting of representatives of the Commission, ECB and IMF, will also be subject to more surveillance, the purpose of which is to ensure transparency of its work and democratic accountability. 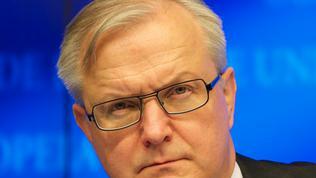 The path to the agreement was cleared after a consensus was reached about the debt redemption fund. According to the agreed compromise, the Commission will create an expert group which will make a thorough analysis of the possible benefits, risks, requirements and obstacles for partial replacement of national debt with eurobonds. The group will consist of external experts who will present the conclusions of their analysis by March next year to allow the Commission to table specific proposals before the end of its mandate. The expert group will be tasked to review all the legal provisions and the financial architecture as a central element of its work will be its democratic accountability. It will have to take into account the ongoing reform of the economic and budgetary governance, to pay special attention to the implementation of the two-pack, the work of the ESM (the eurozone permanent bailout fund) and other similar instruments. Attention the experts will have to pay also on the sustainability of public finances, how to avoid moral hazard and financial integration and transfer of monetary policy too. A requirement to the members of the group will be to be experts in law and economy, public finances, financial markets and sovereign debt management. What exactly does the text of the agreement contain we will know in the beginning of March as the compromise is yet to be finally approved by the finance ministers council (Ecofin) on March 5th and voted by the European Parliament. The voting is scheduled for the second week of next month. But how does the Commission see things after the two-pack is the news which replaced the reached compromise stated as a major priority of the six-month rotating Irish presidency. 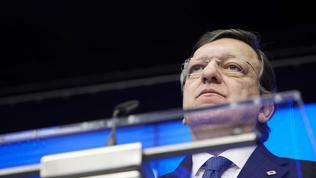 In a joint statement of Jose Manuel Barroso and Olli Rehn it is said that once the second legislative package is adopted the Commission intends to put into action the Barroso blueprint for reform of the Economic and Monetary Union (EMU). The blueprint was presented in end-November separately from the report of the four presidents, one of whom is Barroso himself. Herman Van Rompuy was tasked with the report of the four in June by the EU leaders with the aim to propose ideas for deepening of the integration specifically in the euro area. But Jose Manuel Barroso decided to act on his own and obviously he intends to continue by himself because his blueprint, although it is said it has been taken into account in the Rompuy's report, got a cool reception by the leaders at their December summit when the more ambitious ideas for reforms were set aside for fears that they will deepen the division between euro- and non-euro countries. 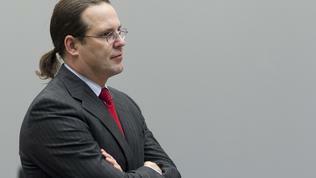 These fears were expressed very clearly by Sweden's Finance Minister Anders Borg, who in an interview with The Financial Times, published on February 19th, says that the eurozone moving toward closer fiscal integration could undermine the EU while in the same time it will have a very little impact on solving the debt crisis in the zone of the single currency. - the creation of a "convergence and competitiveness instrument" to provide financial support for the timely implementation of sustainable growth enhancing structural reforms. This will probably be called "two-pack prim" because again it is about two legislative proposals. 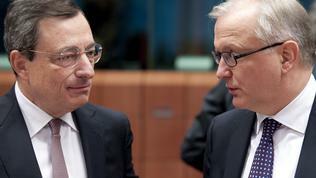 Both are part of Mr Barroso's plans for deepening of the EMU. According to the visions of the European Commission chief, the instrument for convergence and competitiveness (ICC) is the first phase of the future common eurozone budget which is foreseen to be established yet in the first stage - within a year. Barroso thought that this instrument should be part of the MFF, but given the reached deal it is obvious that another way to fund it will be sought. The aim of the instrument is to stimulate countries that duly implement the promised reforms which can be interpreted also as compensations for the tough budgetary restrictions. In addition to the 'two-pack prim', the Commission commits to finish as soon as possible its work on enhancing the fight with tax fraud and tax evasion, as well as on employment and social policy. 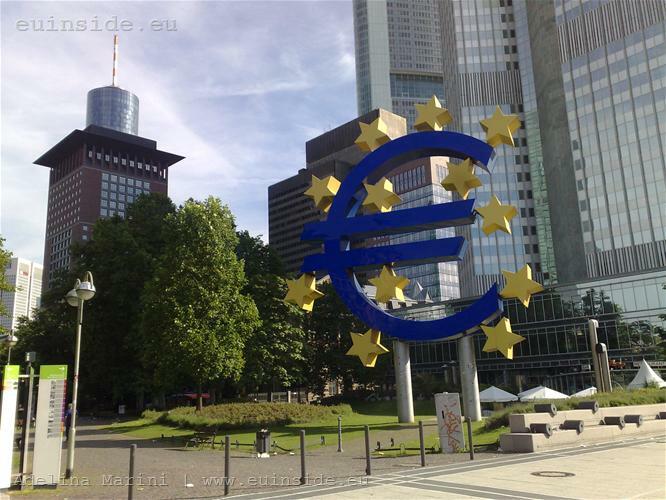 After the adoption of the Single Supervisory Mechanism, the Commission will present a proposal for a Single Resolution Mechanism for banks as part of the Banking Union. Even before the end of 2013 the Commission commits to present a proposal the eurozone to be given an observer status in the IMF, followed by a separate seat in the IMF executive board. Before the elections for European Parliament in 2014, the Commission will present its ideas about treaty changes for the creation of a legal basis for the next (second) stage of Barroso's blueprint which envisages the creation of substantially enhanced economic and budgetary surveillance in the euro area, a common budget in support of solidarity and deepening of integration in the decision-making process in areas such as tax policy and labour market. The single resolution mechanism was one of the three topics which Mario Draghi, the central banker, discussed with MEPs in the economic committee of the European Parliament in the beginning of the week. He said this mechanism should be centred around a Single Resolution Authority and to have a European resolution fund at its disposal. According to Mr Draghi, this authority should be an essential complement to the supervisory mechanism, which will provide timely and unbiased assessment of the need for resolution, while the authority will ensure immediate effective actions when necessary. And although he believes the Single Resolution Authority will break the vicious circle between the sovereign and the banks, the European Central Bank chief said, as is written in the decisions of the leaders of the member states, it will be funded by public money in the form of guarantees. The main source of funding, however, should be through the private sector via risk based ex-ante levies. Will Barroso succeed in passing his blueprint with the leaders depends on how will the talks start about the Banking Union. The Irish Presidency promised that after finishing the work on the two-pack and the repairs of the capital requirements directive it will focus on the Banking Union. The immediate tasks for the leaders, according to their plans, for now are to move onward only with the plans for a banks resolution mechanism. June, though, again emerges as a month when it is possible ambitious decisions to be taken or at least intentions to be stated for such decisions some time in the future. 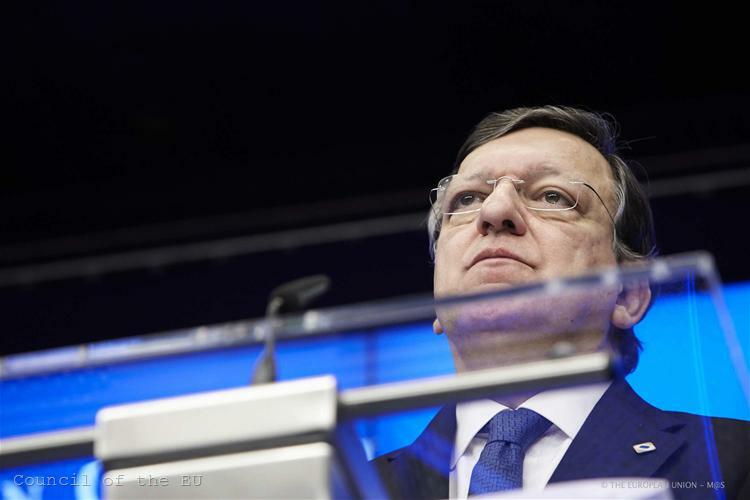 It is certain, however, that with the approach of the end of the Commission mandate Barroso will push, if anything else, at least to maintain his ideas in circulation.